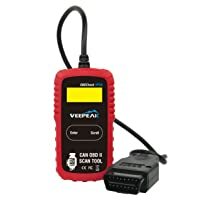 This car diagnostic scanner tool supports check engine, clears codes and resets monitors as well as views freeze frame data, displays monitor and I/M Readiness Check, reads live ECU datastream and retrieves vehicle information. 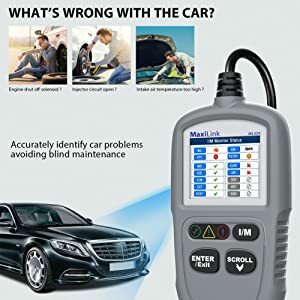 With this scan tool, you’ll be able to read and erase codes on domestic, European and Asian vehicles from 1996 to date. It retrieves generic, manufacturer-specific and pending codes. 3 Who is it for? If the fault codes have not occurred during a specific number of warm cycles, then the codes clear from the memory. Autel ML329 diagnostic tool supports all OBDII protocols. This includes reading and erasing codes among others. The read function can be done when the key is on, and the engine is off or while the key is on, and the engine is running. In case the trouble codes have been stored in your vehicle computer memory, these codes will cause the control module to illuminate. The pending codes will indicate the problems that control module have detected to happen during the current or previous driving cycle. These pending codes usually do not cause malfunction indicator light. In case permanent codes are confirmed and are present in the non-volatile memory of the car’s computer, an appropriate monitor is determined for each DTC, and the malfunction will no longer be present. These permanent DTCs will be able to erase by these MaxiLink ML329, or you can choose to disconnect power to the ECU. You will be able to view the DTCs and all definitions on the screen. These include the sequences of the DTCs, control module number, type of codes and the total number of codes detected. Also, permanent codes function for vehicles supporting the CAN is available. Erasing the codes will allow the scan tool to delete all the codes including the freeze frame data and manufacturer’s enhanced data. To avoid erasing the codes when not performing the service or repair. Another weakness is that the deleted codes will be displayed again in case of underlining fault that has not been addressed. I/M readiness function is for checking the operations associated with the emission system, especially on OBDII compliant vehicles. 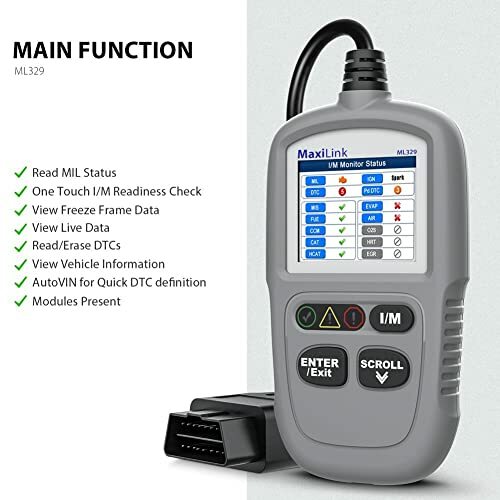 This function of Autel ML329 scan tool is excellent when you utilize it before inspecting the car for state emission compliance. Modern vehicles will support the two types of I/M readiness test. The first one will indicate the status of your monitors from the day DTCs was erased and the second one will show the status of the monitor from the beginning of the current cycle. There are two ways of retrieving status in Autel ML329. These include using one-click readiness key and the typical way. When the red light appears, you can choose to either take the vehicle to a professional or repair it yourself. In the scanner, you will see the LEDs colors and the audio tones which indicates the readiness status. The green, red and yellow LEDs will help you determine if the vehicle is ready for emission test. The yellow LED shows there might be a condition like stored trouble codes or pending codes. The red LED indicates there is a problem in the vehicle system. When the red light appears, you can choose to either take the vehicle to a professional or repair it yourself. With I/M readiness function you can check the status of your monitor since it was erased as well as the status during the current drive cycle. Also, you have two options to choose for retrieving I/M status of your vehicle. By clearing the trouble codes, the readiness status is cleared for individual emission system. For you to reset these monitors, your vehicle must be driven through the whole drive cycle to ensure no codes are in the memory. Freeze frame data allows you or a technician to know whether the vehicle is operating at the moment while diagnosing the trouble codes. Freeze frame data allows you or a technician to know the parameters in which the vehicle is operating at the moment while diagnosing the trouble codes. Some of the parameters include the engine coolant temperature (ECT), engine speed (RPM) and the vehicle speed sensor (VSS). 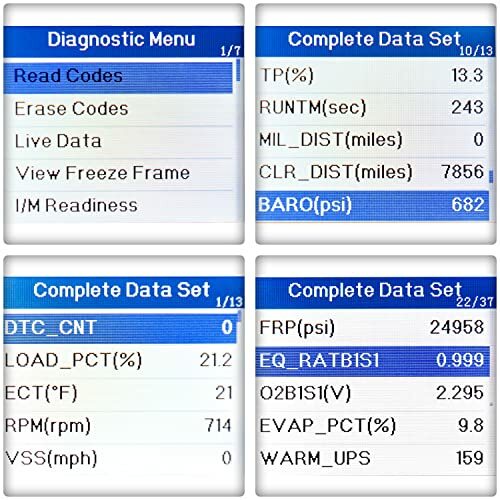 The live data function enables you to view the real-time PID data of your vehicle. To view this, select live data and wait for few seconds while the scanner tools validate the PID Map then view the live data on the screen. With this scan tool, you will be able to view the vehicle’s parameters with ease and be able to display the live data in real time. You can duplicate these parameters for further diagnosis and repair. All the data cannot be displayed on one screen; you have to scroll it until you find the necessary function. Also, in some vehicles the device display “no freeze frame data stored” meaning this function is not available. Autel ML329 supports lifelong time free update online via USB cable so that you can update anytime anywhere. 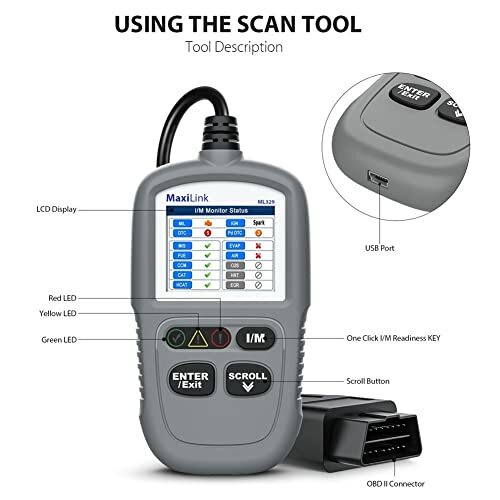 This Upgraded MaxiLink ML329 scan tool is especially for vehicles will support OBDII protocols including the once equipped with the Control Area Network (CAN). Though the EPA requires all domestic, European and Asian vehicles to be OBDII compliant, some of the models made before 1996 does not support this function especially the once meant in 1994 and 1995. 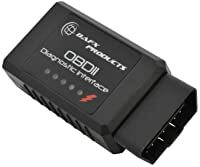 To check if your vehicle is OBD 2 compliant, check if it haves the 16-pin data link connector usually in the dash or if the emission control label indicates the vehicle is OBDII compliant. Cons Not support iOS devices. Almost none at this price range. No in-built DTCs Lookup library. 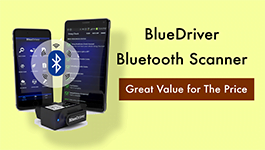 Bottom Line Bafx products is suitable for beginners and average car owners who prefer Bluetooth. Autel ML329 suits any beginners or average car owners who prefer plug-and-play. Autel Al319 suits beginners who want to turn off the CEL and do simple diagnosis. This model is for the beginners, specialist and other cars enthusiasts. It supports wide vehicle coverage and the ones made in 1996 and above. Your vehicle must be OBDII compliant to be able to utilize this scanner well. 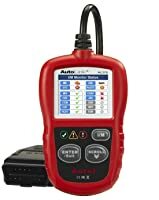 Autel MaxiLink ML329 diagnostic tool supports check engine, resets monitors and clears codes. You will be able to view freeze frame data, read live ECU data, display monitor, and I/M readiness check. With this scanner, you will also be able to retrieve vehicle identification information including the VIN, CALID, and CVN. 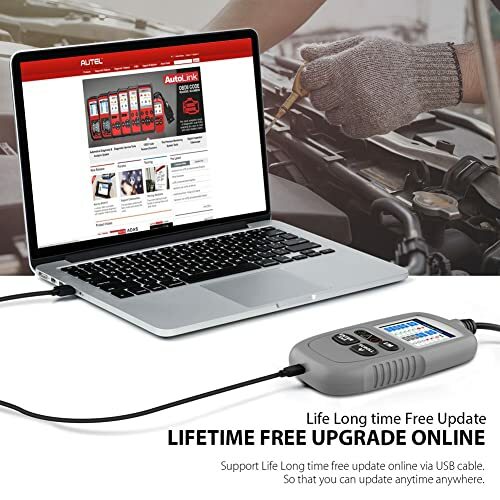 Autel Autolink AL629 Pro Service Tool is an effective diagnostic scanner that can perform both basic and a number of advanced functions. Let’s check now! Launch CReader 3001 is an affordable scanner that can help you to perform basic diagnostic functions. What else it can offer? Check it out now. Launch X431 HTT review: Special Functionality- Comparison Chart( LAUNCH X431 HTT vs Launch X431 V+ vs ANCEL FX6000) – Who should buy it?. OBD is a vehicle’s self-diagnosing system that gives you information on the status of your car. Read this introduction to know more about OBD2 Technology.